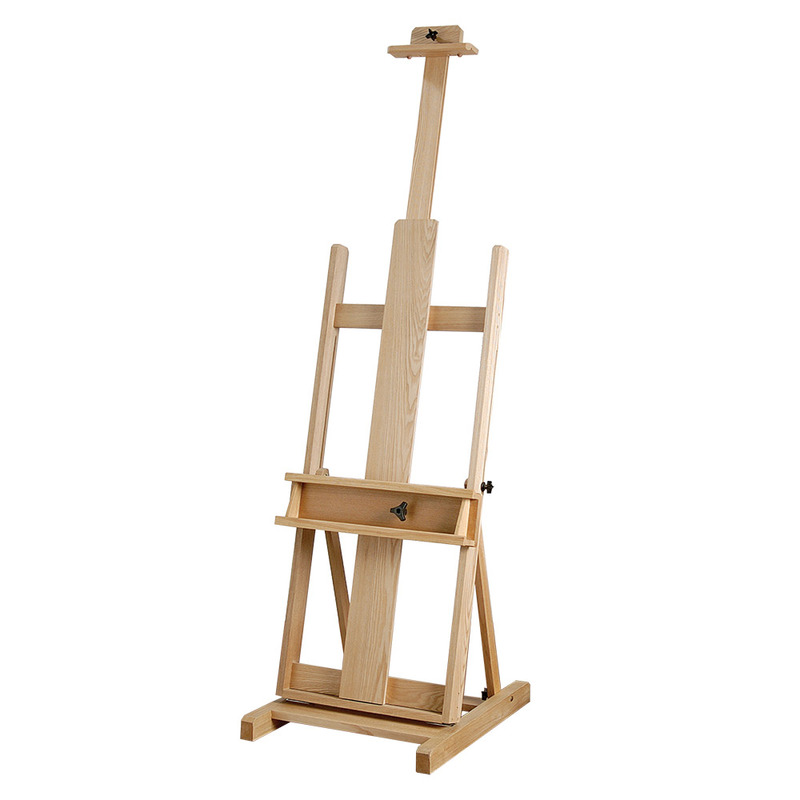 This robust studio easel is based on a similar design to the Sussex, but is at home in larger studios or for artists wishing to paint on a bigger scale. Its features include adjustable canvas height and painting angle, large storage tray within the lower canvas support, quality fittings and seasoned Elm wood. The lower canvas support is fixed by tightening the screw knob. The easle arrived today and is exactly what I wanted,virtually no construction, solid build, very easily adjusted, perfect size for holding big canvas without being too obtrusive.